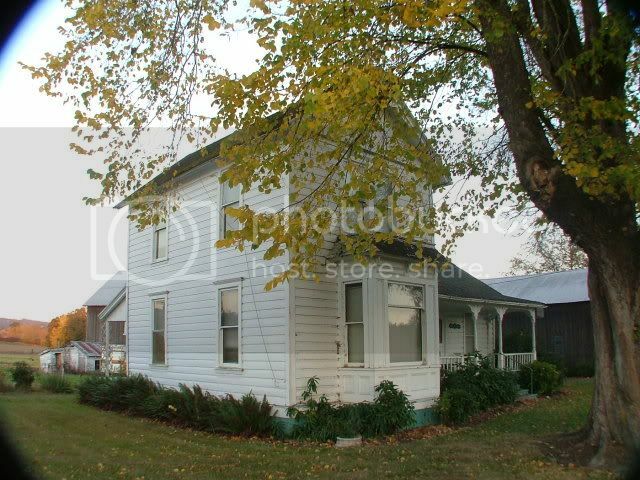 So I finally took my photos of the old buildings in North Plains. 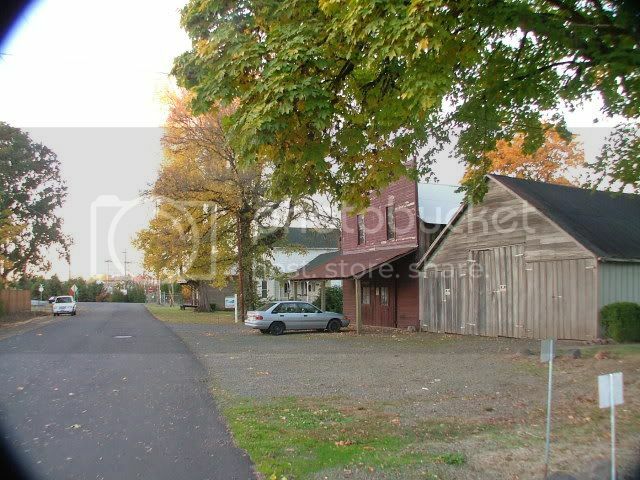 I was utterly ignorant and unaware of the fact that North Plains had pre-1900 buildings. The town was founded in 1910, so, who would expect to find any there? The "downtown" section has your typical 1916'ish brick buildings, buildings that look like they used to be banks and storefronts etc. The town was always pretty small and never went ghost, so, I never, ever expected to find what I found there! I was on an unrelated errand one night in the summer of '08, when I drove through a 4-way stop. I realized I was supposed to turn left back at that flashing red light intersection, so I slowed down and turned on the next street to my right. It had a "dead end" sign. 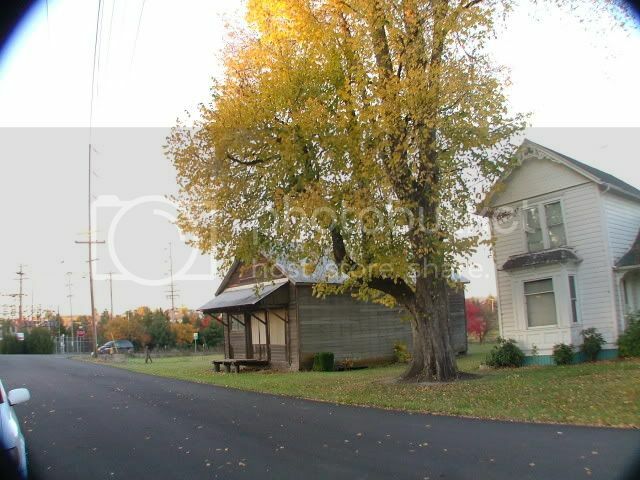 I drove down it looking for a suitable driveway for a turn-around, when in front of my headlights an old-time general store appeared! Holy ****! I let loose a string of amazement curses as I slowly drove down the street. 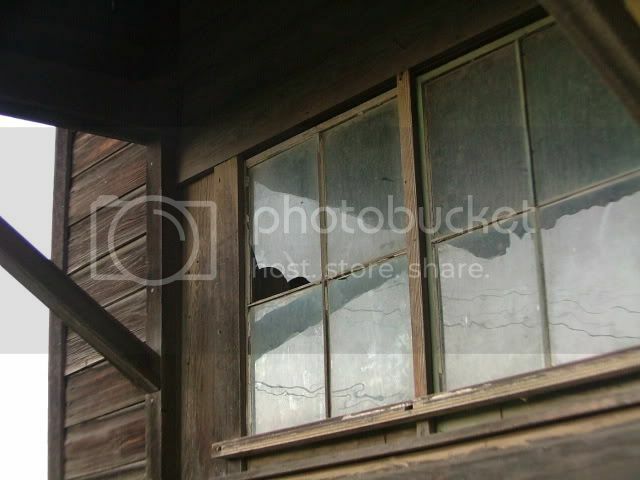 The old general store was boarded up, and raccoons were staring at me with lit-up eyes from beneath the porch. 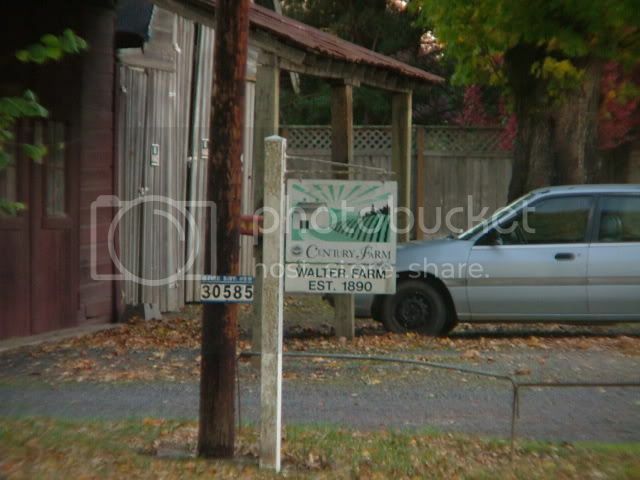 The next building over was an 1800's era farmhouse, with a sign declaring "Century Farms, Walter Farm 1890." 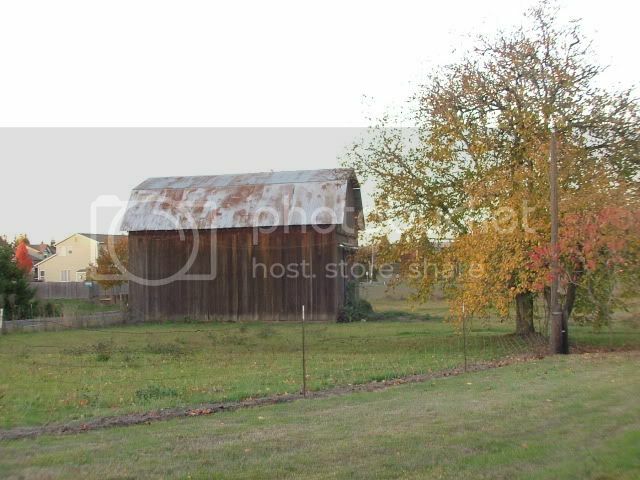 After that house was a blacksmith shop! It was closed up, but definitely a smithy. 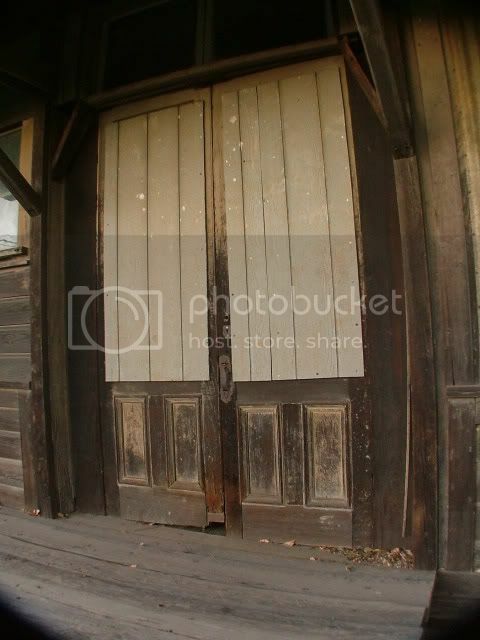 An old-looking wooden warehouse stood next to it. I was bewildered. Where in the heck did these buildings come from? Was the town older than the 1910 founding date so proudly proclaimed on the highway sign? I was 90% sure the town was not there before the building of the RR. He named the town Glencoe. The town's exotic name has a most interesting story behind it. In 1688, the king of England, James II, was overthrown in the "Glorious Revolution." Parlimentarians placed William of Orange on the throne, and civil war ensured. Many Scotts joined the cause of James, who was a member of the House of Stuart, a Scottish royal family. (Those wanting to restore the House of Stuart were known as Jacobites, not to be confused with other types of Jacobites.) Many feared James' return to the throne would restore Catholic rule to England, and sides were split along ethnic/religious lines. The Scottish Jacobites rebelled against William of Orange, but were eventually defeated in a few key battles. James retreated to France, and tried to raise an army to reconquor England. While James attempted to raise his army, William of Orange demanded that the rebel Scotts swear an oath of alliegence to him, and set a deadline for the 1st of Jan, 1692. The Scotts wrote to James and asked his permission to take the oath. James dithered and procrastinated until finally accepting his defeat. By the time the message reached Scottland, winter had come, and travel was dangerous and slow in the highlands. The terms dictated that the oath be witnessed by a magistrate, and necessitated travel. Alastair MacIain, 12th Chief of Glencoe, (MacDonald clan) took the oath too late, asking pardon for the clan's tardiness due to the bad weather slowing their travel, and miscommunications that occured. This excuse was not good enough for William of Orange. Troops under the command of Captain Robert Campbell were ordered billeted (housed and hosted) on the MacDonald lands in Glen Coe, ostensibly for the purpose of collecting a new tax. Related by marriage to MacIain, Robert Campbell would have been housed in the chief's own house. Campbell's foot regiment enjoyed the hospitality of the MacDonalds for a few weeks before a message arrived. It had been ordered by the King himself: kill them all. Campbell played cards with the unsuspecting victims that evening. Later, his troops fell upon them as they slept. The Chief was slain as he tried to rise from his bed, but his wife and sons initially escaped. 38 men were slain, and 40 women and children later died of exposure once their dwellings were razed. Much of the clan escaped the slaughter due to the fact that a snowstorm prevented other troop regiments from blocking off their escape at mountain passes. Another reason was the insubordination of some of Campbell's troops, who warned some of the MacDonalds or broke their swords in outright refusal to participate in the murders. By the time of the mid 1800's much of the history and legends of Scotland were revived in books and plays. This made the Massacre at Glen Coe a tale fresh in the mind of Charles McKay and other Scottish settlers of the era. The town's location turned out to be strategic, located on McKay Creek where West Union Road(?) crossed the waterway on a wooden bridge. The "Union of the West," one of the oldest European settlements of Oregon Territory, a place where the few whites of the valley would meet to trade, exchange news, marry, worship and bury their dead in Oregon state's oldest cemetary, was located east of Glencoe. 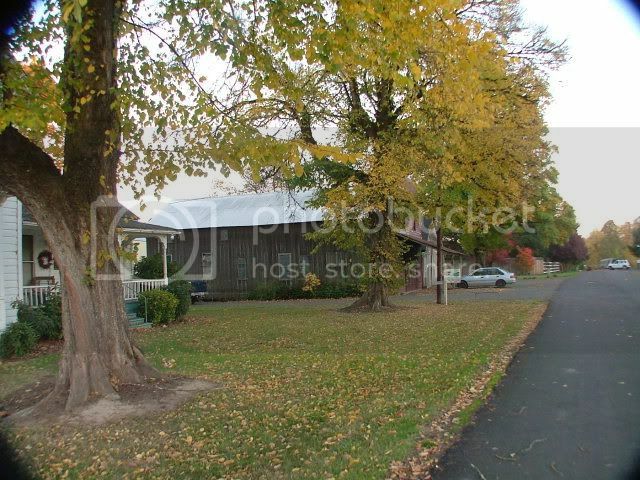 To the south was "East Tuality," the town that would become Hillsboro, the County Seat. The small town enjoyed prosperity for about 50 years. Besides the fine homes in the area, the town had professional services. 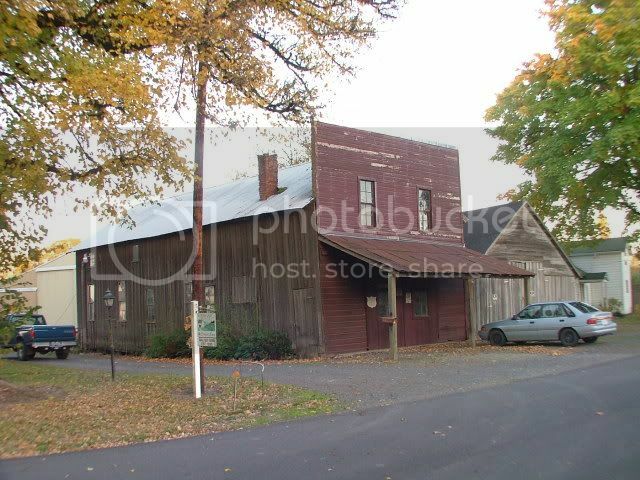 "Charlie" McKay had a gristmill on the creek, there was a drugstore, a general store with a post office in it, a Knights of Pythias lodge, and a doctor, shoemaker and a barber in town. 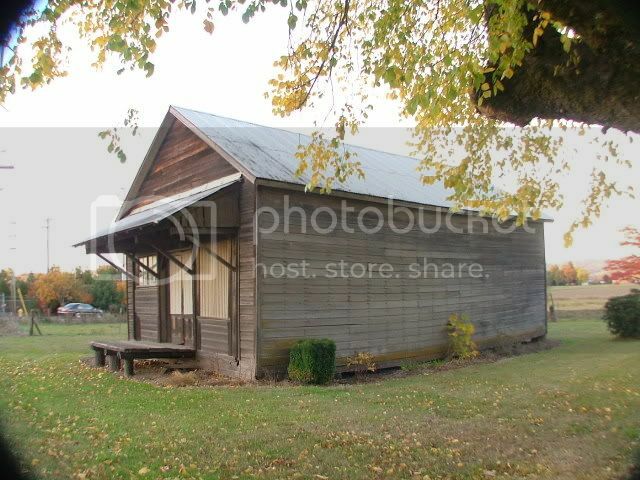 There was a church and a school, and after 1890, Charles Walter's blacksmith shop. The town was planned out before the 1850, but only survived until the early 1900's. Plans were coming for a railroad to Tillamook on the coast, and it would bypass the town. In the end, the tracks were lain only about one mile north of Glencoe. A new town was to be established there, called North Plains. Entire buildings were hoisted up off their foundations and moved north to be closer to the tracks and the new town. The Glencoe post office closed officially in 1904, but it is unclear exactly by which date the town died; if the buildings were moved together around the same time or piecemeal over time. A Hillsboro Argus newspaper article from 1976 hints that the town died slowly. Speculating about which old structures standing today in North Plains were once Glencoe buildings is somewhat difficult. 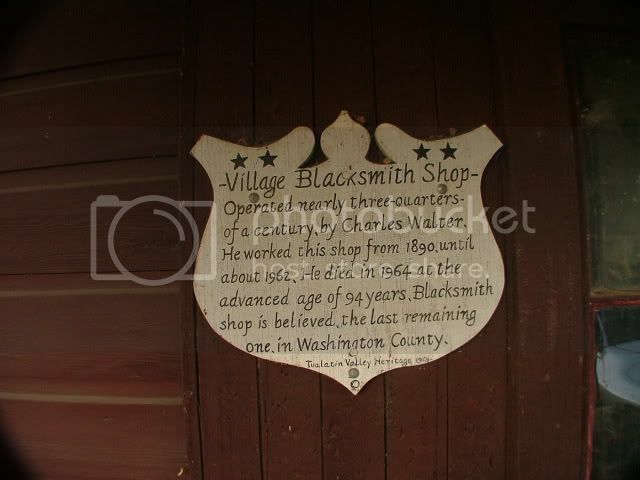 One building in particular can be verified: Charles Walter's blacksmith shop. Charles Walter moved to Glencoe in 1890, and moved later to North Plains. He is known as the last blacksmith of Washington County, and his smithy also seems to be the last of it's kind still standing in the county. He died in 1964, at the age of 94, but was still smithing in the early 1960s! Original buildings from Glencoe on Old West Union Road, looking West. The smithy, looking east down the road. 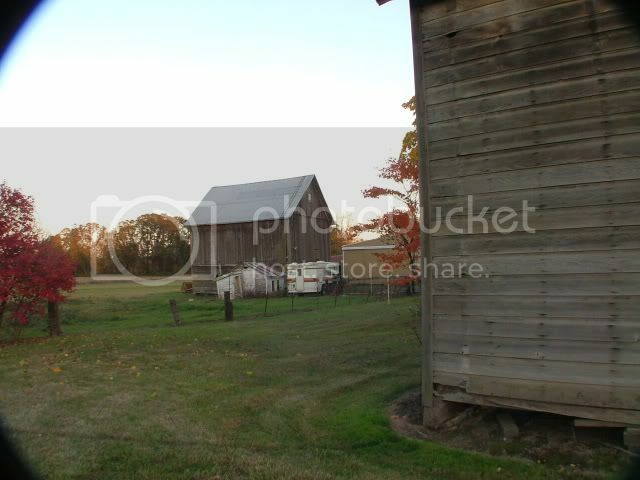 Walter Farm, est 1890...that's interesting, as the town wasn't established until 1910. The Walter farmhouse, adjacent to the smithy. The old store, adjacent to the farmhouse. More of the old store. Boarded up windows on the doors. **If you ever get your hands on a copy of This Far-Off Sunset Land, compare the porch of this store to the one on page 60. Charles Walter seems to be standing on the porch of this very building for the photo. 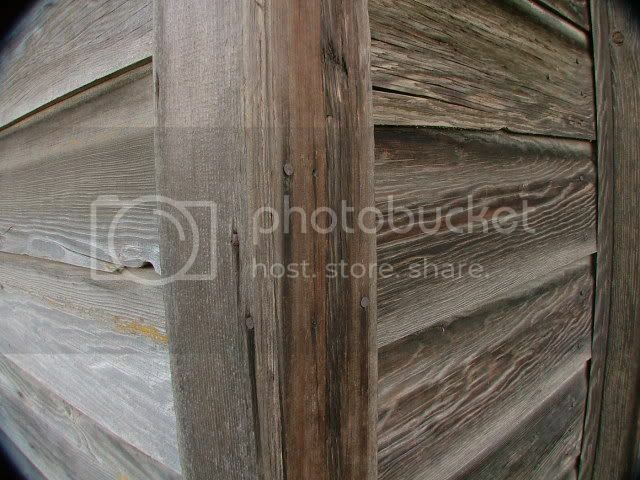 An examination of the old store's siding reveals the old-fashioned square nails, with a few modern wire nails here and there. The wire nails (round heads) seem to mostly be found on the front of the building, many were probably for tacking signs and advertisements. 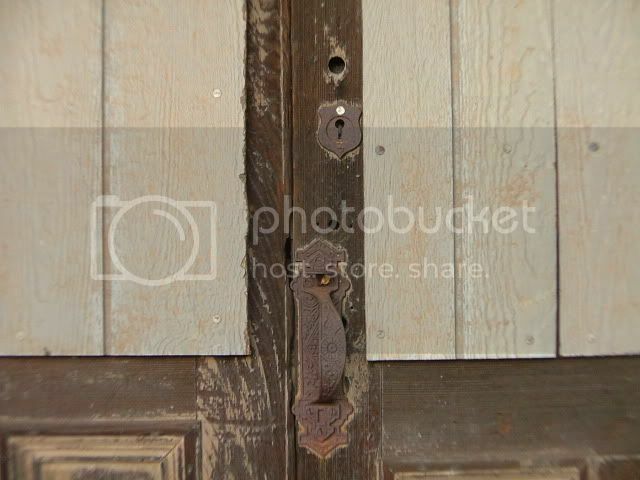 The above photo shows a square nail center-left. The distortion of curves is due to the wide angle camera lens. 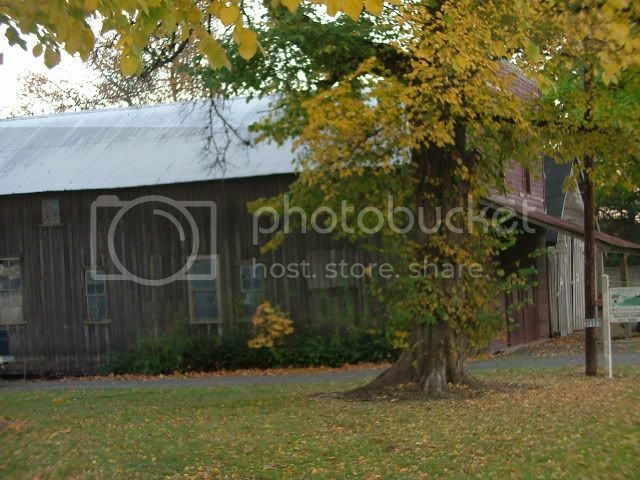 A barn in the distance, and part of the store in the foreground. Looking NE from Old West Union Road. Another barn looking NW, towards NW Glencoe Road. A closeup of the window in the store. 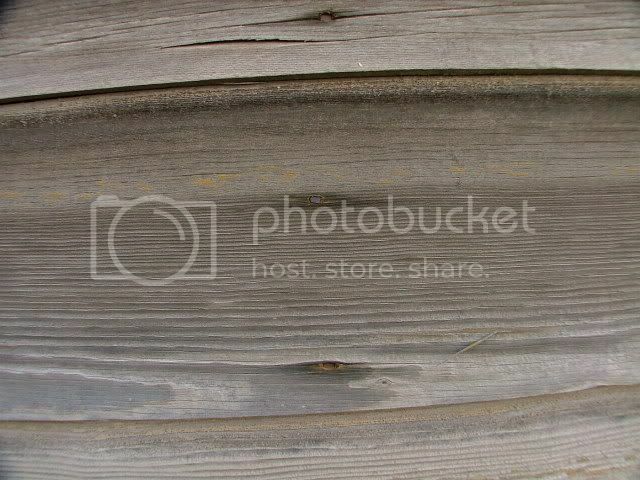 It could be that a new front for the store was created after square nails went out of use. The porch is very similar, but slightly different than seen in the Charles Walter photo. Looking down the street to the east, towards the dead end. ***All of the above photos were taken on Oct 26th, 2008. If you would like to view these buildings for yourself, you can. Enter : North Plains, Oregon. Choose from the "layers" drop down menu "street view." Drop the little gold man icon at the intersection of NW Glencoe Road and Old West Union Road. Grab and pull the image with your mouse until the little gold man icon looks east. See the general store?